Think of this workshop as an informational boot camp for tomorrow’s EU leaders. Not to be confused with the usual corporate and organizational “training seminar.” No one will be showing you how to “lead.” If you look around the EU community, you will see that leaders have emerged through their own vision and initiatives. Even their “accreditation” within the EU community has come from their own freely evolving capabilities and the respect they’ve earned through their contributions. These contributions started with inspiration, natural capability, and the courage to stand out. Some will attend for the sake of their own learning. Others will be empowered to forge their own contributions perhaps in collaboration with others. Wal Thornhill and Dave Talbott will be the principal contributors, each bringing more than 40-years of research to the workshop. They are preparing full summaries of their life’s work, something that has never been presented publicly. 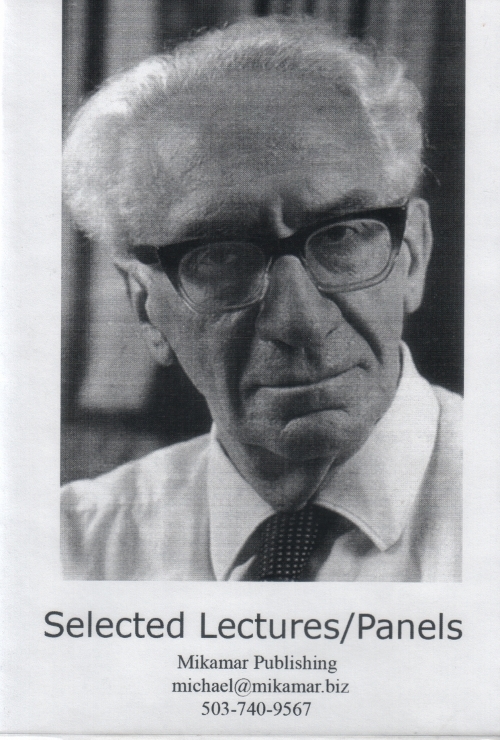 Wal’s talks will be complemented by additional material from electrical theorist Dr. Donald Scott, and Dave’s presentations will be reinforced by Ev Cochrane, author of several essential books on the ancient sky. Vom 5.-6. April 2014 findet in Salzburg die zweite “Rational Physics Conference” statt. Nähere Informationen zum Ablauf der Konferenz und zur Anmeldung finden sich unter http://www.rationalphysics.at/. This Not-For-Profit Conference has been organised independently of any academic or research institute or of any scientific society. There are no commercial, industrial or political interests involved. This is uncommon but ensures that no influence is exerted upon speakers or participants to force compliance with the authority of any that seek to foist dogmatic views upon Mankind in order to turn a profit, be it financial or social standing. Contemporary physics has lost contact with physical reality. Mysticism and fancy has resulted in quite irrational notions being proposed to account for the physical Universe. This conference is a return to rational physics in terms that are comprehensible to any educated person, not just a small group of specialists. Am 14.5.2013 um 17:30 veranstaltet die siebente Fakultät der Universität Graz eine Diskussionsrunde zum erfundenen Mittelalter. Warum es 300 Jahre NIE gegeben hat! Die 7. fakultät, das Zentrum für Gesellschaft, Wissen und Kommunikation an der Karl-Franzens-Universität Graz, vernetzt Forschung und Wissenschaft mit einer breiten Öffentlichkeit. Ein kurzes Einführungsvideo zur Diskussion ist hier verlinkt. Im Rahmen der neuen Gesprächsreihe FORUM GESCHICHTE diskutiert am Mittwoch den 5.12.2012 um 20 Uhr Professor Dr. Johannes Fried mit den Spiegel-Redakteuren Dietmar Pieper und Dr. Johannes Saltzwedel über das Thema “Karl der Große und Europa”. Die Diskussion findet im BUCERIUS KUNST FORUM, Hamburg statt. Die Diskussion steht im Zusammenhang mit dem soeben erschienenen Heft DER SPIEGEL Geschichte Nr. 6/2012 “Karl der Große. Der mächtigste Kaiser des Mittelalters”. Die Seite 105 des Sonderheftes bringt eine kurze und natürlich negative Beurteilung der Phantomzeitthese durch den verantwortlichen Redakteur, Dr. Saltzwedel. 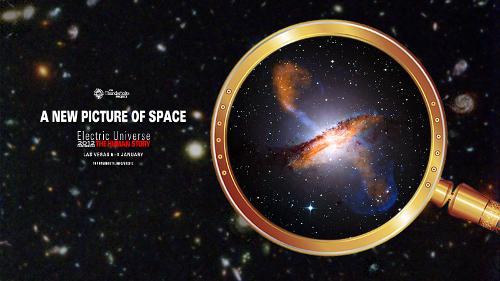 8:10 Michael Clarage TB-Talk: Our Universe—It’s Electric! 10:55 James Sorensen TB-Talk: Halton Arp in Perspective: Was the Big Bang a Fizzle? 7:00 – 9:00 David Talbott introduces the premiere presentation of his new video Electric Comet. 5:30 Mel Acheson #2: What’s the Matter with Matter? 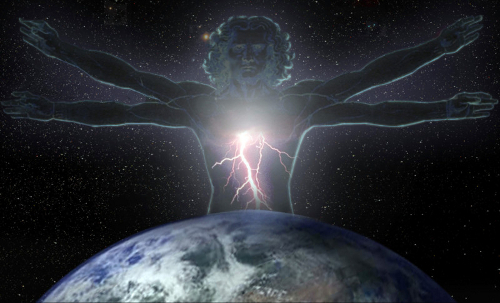 8:10 Bill Nichols TB-Talk: Personal Strategic Experiences: Electric Universe–Are We Limiting Ourselves? 8:30 Frank Anariba TB-Talk: Cometary-electrochemistry: Can Electrochemical Processes Occur in Comets? 8:45 Open Microphone: Conference attendees offer impressions, hopes and suggestions for future events. Der Wiener Rundfunksender Orange 94.0 hat im April und Mai diesen Jahres erneut Interviews mit Heribert Illig innerhalb der Sendereihe Radio Dispositiv ausgestrahlt. 1. Teil: Vor etwas mehr als 20 Jahren formulierte Heribert Illig erstmals den Verdacht, dass rund 300 Jahre unseres Mittelalters nachträglich in die Zeitrechnung eingefügt, sprich erfunden sein könnten. In dieser ersten von drei Sendungen erzählt er, wie die These entstand, durch immer mehr Indizien und Fakten erhärtet und schliesslich zur Phantomzeittheorie ausgebaut wurde. Weiters kommen diesmal u.a. Datierungsmethoden wie C14 oder Dendrochronologie, Fehler in der Kalenderrechnung, auffallend häufig aus dem Nichts einsetzende bzw. scheinbar grundlos plötzlich abgerissene Entwicklungen in Handwerk, Kunsthandwerk und Bautechnik zur Sprache. Following the success of our collaboration with the Electric Universe community at NPA-18 in College Park last summer, we will hold NPA-19 side by side, but separate from TeslaTech’s Extraordinary Technology Conference 2012. We expect the 400+ attendees at Tesla Tech to discover the charms of the NPA, as we encounter their universe of independent physics. 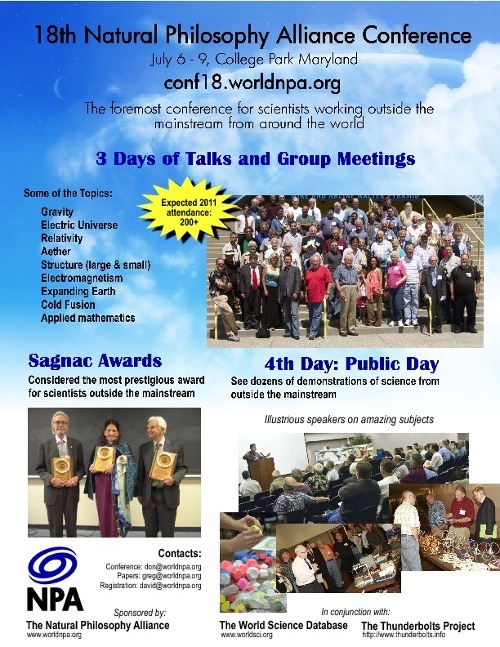 The conference will include four days of talks, four days of public displays, and the Sagnac Baquet to honor the best of scientists in the dissident world. The process for NPA-19 registration is now in place. Please log in to http://www.worldnpa.org, click “19th Natural Philosophy Alliance Conference” and then “Conference Payments” and “Registration Form” to get yourself registered. “Hotels / Locations” has information about the local hotels, so you can handle that as well. If you have any difficulty, please contact our tech support assistant, Dave Harrison at david@cititech.biz. Die “Electric Universe Conference 2012” vom 06.01.2012-08.01.2012 in Las Vegas wurde kurzfristig um einen optionalen zusätzlichen Tag mit Podiumsdiskussionen verlängert. Redner und akkreditierte Zuhörer werden über die Konferenz reflektieren. Wo: Rio Hotel & Casino, Las Vegas. Pavilion Convention Center, Miranda 8. Panel 1: 8:30 a.m. – 9:45 a.m.
How Much of “Settled Science” is Really Settled? Panel 2: 9:45 – 11:00 p.m.
Panel 3: 11:00 p.m. – 12:15 p.m.
Panel 4: 1:30 p.m. – 2:45 p.m.
Panel 5: 2:45 p.m. – 4:00 p.m.
Panel 6: 4:00 p.m. – 5:15 p.m.
9:00 AM Pre-conference events continue throughout the day, including news conferences and select interviews. 7:00 – 9:30 Official conference opening. Welcome by William Mullen, with brief notes on conference direction and themes. Wal Thornhill, Don Scott and Greg Volk offer previews of their conference presentations. A P David introduces David Talbott, who gives the keynote presentation, Seeking the Third Story. 8:45 Acknowledgements. Conference attendees offer impressions, hopes, suggestions for future events. College Park, Maryland – May 20, 2011 – The Natural Philosophy Alliance (NPA) announces its 18th Annual NPA Conference and second Public Science Day from July 6 – 9, 2011 at the University of Maryland, in College Park. Independent scientists from around the world will be on hand for three days for lectures and group meetings and a day of experiments, demonstrations, thought provoking lectures, and comradery. The public day is part of a 4-day scientific conference which challenges mainstream ideas on such topics as relativity, cosmology, and physics. 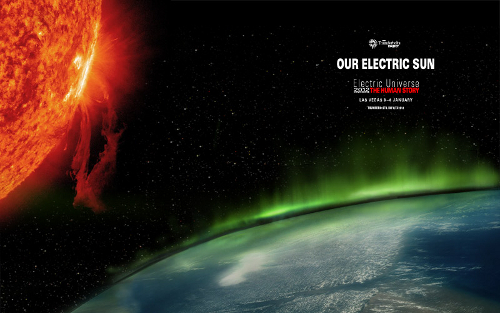 This year, the NPA will be joining forces with the Thunderbolts Project, an Internet voice for the “Electric Universe,” as scientists from around the world continue their road to convergence with new ideas in science. 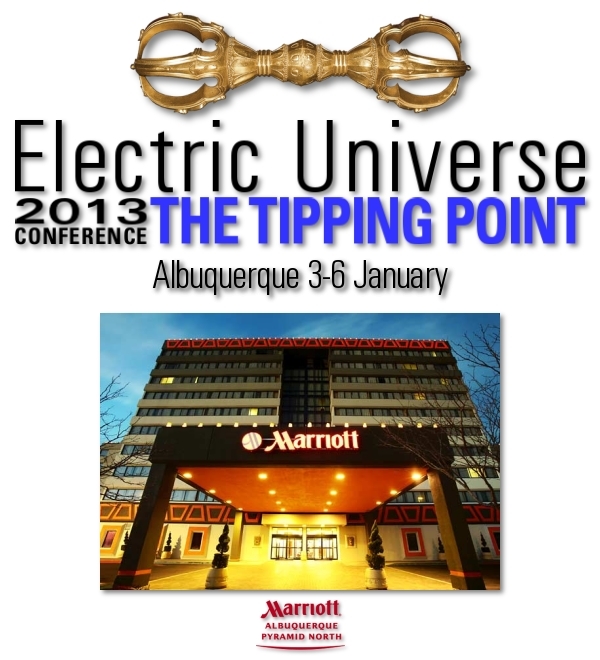 The first three days of the conference will include over 60 talks on such topics as electromagnetism, structures, aether, gravity, electric universe, the expanding / growing earth and universe, new energy among others. There will also be group meetings, some private, on gravity, the path ahead for the Electric Universe, structures, and electromagnetism, to name a few. The fourth day is a free public day open to all. Public day speakers include Gerald Pollack, and Tom Valone, and Neal Adams. Dr. Gerald Pollack will explore many surprising and largely overlooked electrical properties of water, and their far-reaching implications. Neal Adams will contrast conventional subduction models with the growing earth concept. Rounding out the three speakers, Dr. Tom Valone will review the latest research related to Zero Point Energy and its potential as an energy source. Public day will also include many demonstrations and experiments that will interest the public. Some of the demonstrations include various alternative models to the structure of atoms and sub-atomic particles, experiments and demonstrations with light, the abiotic production of oil (oil coming from within the earth and not as fossils), among others. All demonstrations challenge conventional ideas of science and should be very exciting to the public. Friday evening, the NPA will host a banquet where they will honor three seasoned scientists with the third annual Sagnac Award, the Noble Prize of independent physics. This year’s life-time scientific achievement awards go to Dr. Mahmoud Melehy and Dr. Halton Arp. Dr. Melehy receives the award for his work on the electrical nature of surface interactions and their connection with thermodynamics. Dr. Halton Arp single-handedly discovered “intrinsic redshift”, variations in redshift that depend on a star’s local environment rather than merely distance, and catalogued numerous unusual galaxy types. A third Sagnac award in the new category, for life-time scientific support, will go to Neal Munch, long-time member of the NPA for his invaluable work in sustaining the NPA organization for more than 15 years. For more information, call 310-991-5744, email contact@worldnpa.org, or visit the website http://conf18.worldnpa.org. Founded in 1994 by the late John C. Chappell, the Natural Philosophy Alliance (NPA) is a forum for independent scientific ideas organized to hold scientific conferences. 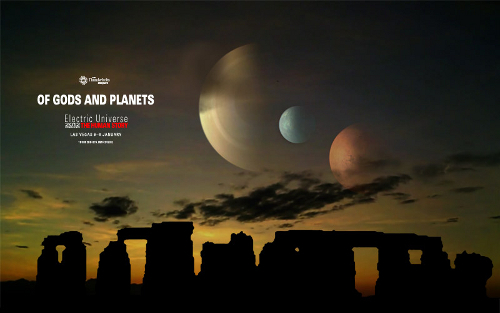 The NPA has met annually in various cities across the United States to share, discuss and debate scientific ideas ranging from relativity and aether theories to Tesla concepts in energy, from quantum mechanics to expanding earth, from gravity to cosmology and the Big Bang, from cold fusion to structural models of the atom. Over the years, the NPA community has fostered an ethic of tolerance, giving all serious researchers a hearing. As a result, though not all NPAers agree on what’s right in science, they claim a surprising unity about what’s wrong. Founded in 2008, the World Science Database (WSD) (http://www.worldsci.org) profiles scientists working outside the mainstream. The WSD provides links to thousands of abstracts and scientific papers from over 100 independent scientific journals and hundreds of independent scientific conferences, since 1990. The WSD is the largest collection of non-mainstream scientific papers ever assembled with over 2000 scientists from over 60 countries. 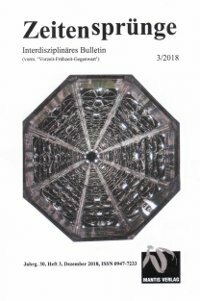 The Thunderbolts Project is an informal gathering of scientists and independent researchers who are skeptical about directions in the theoretical sciences today. 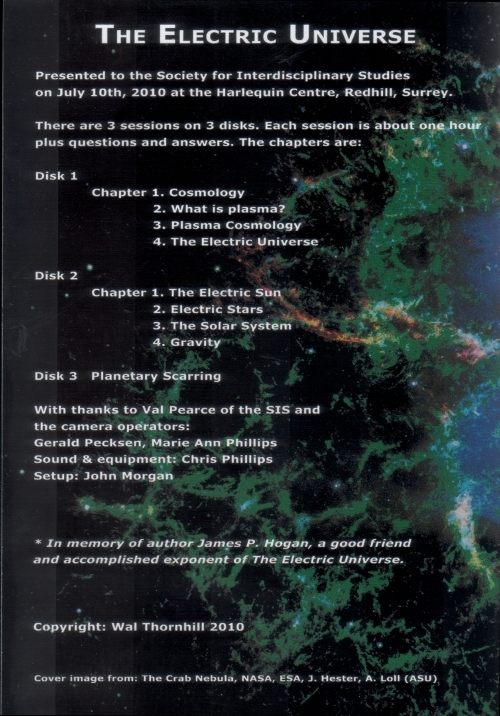 It is not a formal organization but a collaborative voice for the “Electric Universe.” In books, papers, and documentaries the group emphasizes the role of electricity both in deep space and in catastrophic events that altered earth’s history and human history. You can visit their website at http://www.thunderbolts.info. Vortrag: Was kommt nach dem Euro? Zur genannten Zeit kann der Vortrag hier online verfolgt werden: http://webconf.htwk-leipzig.de/bastian. Eine ausgewählte Sammlung von 11,5 Stunden Vorträgen und Podiumsdiskussionen, die auf dieser Konferenz gehalten wurden. Mit Voträgen von Charles Ginnenthal (Venus, Wissenschaft), Lynn Rose (Chronologie-Revision), Wallace Thornhill (Venus, Elektrisches Universum) und Gunnar Heinsohn (Chronologie-Schema), um nur die bekanntesten Namen zu nennen. 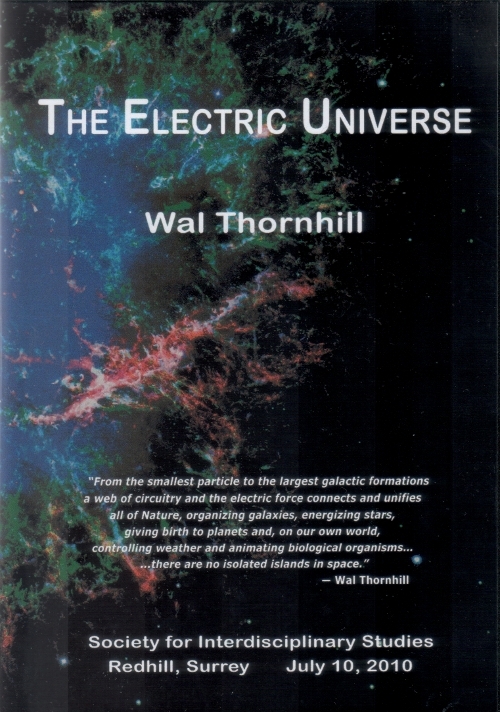 Der Vortrag von Wallace Thornhill “Exploring the Electric Universe” vom 10. Juli 2010 in Redhill (Surrey) ist nun endlich auf DVD verfügbar. Das DVD-Set (3 DVDs) kann über die Webseiten der SIS bestellt werden. Frisch aus der Erde – sehen Sie die neuesten Entdeckungen der Archäologen aus NRW! Im September 2008 pflügt Landwirt Karl Berekhoven mit dem Traktor ein Feld in Nettersheim bei Euskirchen. Plötzlich tut sich unter seinem Traktor ein Loch auf – ein alter Wasserleitungsschacht, denkt er zunächst. 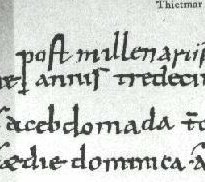 Aber unter Kartoffeln und Rüben hat Karl Berekhoven das seit über 1300 Jahren unberührte Grab eines Frankenfürsten aus dem 7. Jh. nach Chr. wiederentdeckt. Das Steinplattengrab des Frankenfürsten mit seinen reichen Grabbeigaben ist ab dem 16. April in der Ausstellung “Fundgeschichten” über neueste archäologische Entdeckungen im LWL-Museum für Archäologie in Herne zu sehen. Der fränkische Krieger wurde in typischer Tracht und voller Bewaffnung bestattet, eine Goldmünze im Mund. Das Grab besteht aus acht massiven Sandsteinplatten, die bereits aus römischer Zeit stammen und für das Grab umgenutzt wurden. Es ist eine der ganz wenigen Gräber dieser Zeit, das nicht ausgeraubt wurde – und damit eine absolute Besonderheit. Das LWL-Museum zeigt die spektakulärsten Archäologie-Funde aus dem Boden Nordrhein-Westfalens. Über 800 Objekte, geborgen in den vergangenen fünf Jahren, vom Urzeittier bis zum Bomber des Zweiten Weltkrieges zeigen die archäologischen “Bodenschätze” der Region. Jedes Objekt hat eine eigene Fundgeschichte, von der ersten Spurensuche und Bergung bis zur aufwendigen Restaurierung. In der Ausstellung sollen diese Geschichten hinter den Funden lebendig werden – als wäre man selbst dabei gewesen, wenn aus einem Sonntagsspaziergang eine echte Schatzsuche wird oder eine Klettertour im Steinbruch zum Sensationsfund führt. In science, it is all too easy to jump to conclusions. As the development during the past century has shown, this seems particularly true of physics. Scientific modeling should and must be consistent and free of internal contradictions. This begins with the very first step: Analyze the vocabulary used in order to define the problem in question. Many a discussion is bound to remain fruitless if there is no consensus even about the basic terminology. For instance, ’relative velocity’ may have different meanings, depending on the view of velocity. The interpretation “two bodies are in relative motion if their mutual distance changes with time” does not respect the vector property of velocities. It is often easily overlooked ‘trifles’ like this that make consensus impossible. Likewise, ‘time’ and ‘space’ provide unexpected pitfalls if unspecified. ‘Time’ is not identical with ‘duration’ and ‘space’ is not ‘volume’. Time and space in their abstract general physical meaning provide the stage on which events happen. Hence they are not subject to the events themselves. Scientific language must be unique. Die Konferenz ist für Vertreter der Theorie vom Elektrischen Universum besonders interessant, da die Gruppe mit ca. 10 Vortragenden vertreten sein wird. Das wird über 4 Tage neben interessanten Vorträgen und Vorführungen auch Raum für viele informative Gespräche bieten. Der Flyer zur Konferenz findet sich hier. Konferenzteilnehmer (Eine kleine Auswahl): Dr. Halton C. Arp, Prof. Andre K. T. Assis, Dwardu Cardona, Ev Cochrane, Dr. C. J. Ransom, Ralph N. Sansbury, Prof. Donald E. Scott, David Talbott, Wallace Thornhill, Rens Van der Sluijs. Dieser Vortrag beschäftigt sich mit der sogenannten Phantomzeittheorie Dr. Heribert Illigs, die in den letzten Jahren für großes Aufsehen und ein gewaltiges Medienecho gesorgt hat. Die Phantomthese geht davon aus, dass vor etwa einem Jahrtausend rund drei Jahrhunderte in die überlieferte Geschichtsschreibung eingefügt wurden. Die Ereignisse und Personen zwischen etwa 614 n. Chr. und 911 n. Chr. wären demnach fiktiv oder fehldatiert. Der Vortrag ist vor allem der astronomischen Widerlegung der Phantomzeittheorie und der Entkräftung der astronomischen Argumentation der Phantomzeittheoretiker gewidmet. Nachdem die Uni Kiel schon im Sommersemester 2008 durch das Angebot einer Lehrveranstaltung über die Fantomzeitthese aufgefallen war, hat sich im noch laufenden Wintersemester ein zweiter Kieler Dozent des Themas angenommen. Es handelt sich um Martin Hinz M. A., einen Lehrbeauftragten am Institut für Ur- und Frühgeschichte. Zu seiner Übung über Fantastische Archäologie – Vergangenheit zwischen Forschung und Mythos empfiehlt er unter anderem auch die Lektüre des Krojer-Buches. Illigs eigene Bücher fehlen in der Literaturauswahl. Diese indirekte, sich hinter Krojer versteckende Annäherung an die Problematik zeigt freilich, mit welcher Vorsicht und vermutlich auch mit welcher Angst junge Akademiker hier agieren. Denn was sonst als Angst vor der direkten Auseinandersetzung kann der Grund sein, nicht Illig selbst zu lesen, obwohl man doch offenbar seine These diskutieren möchte? Angst: entweder vor Ansteckung mit dem bösen Fantomzeitvirus oder vor Abstrafung durch die Zunft in Form des “Edeka” (Ende der Karriere). Furore machte vor ein paar Jahren die These des Kulturhistorikers Heribert Illig, dass die Jahre von ca. 600 bis ca. 900, konkret die merowingische und die karolingische Geschichte, eine spätere Erfindung der Ottonen gewesen seien, es folglich die Merowinger und Karolinger gar nicht gegeben habe. Er nannte es „die größte Zeitfälschung der Geschichte“. Wissenschaftlicher Kritik hielt Illigs Denkgebäude nicht stand. Allerdings hat Illig nicht einfach dampfgeplaudert, sondern eine Argumentation vorgebracht, die ernst genommen und widerlegt sein will. Die Auseinandersetzung mit ihr soll in der Übung gesucht werden. Heribert Illig: Das erfundene Mittelalter. Die größte Zeitfälschung der Geschichte. Düsseldorf/München 1996 (seitdem mehrere Auflagen erschienen). Rudolf Schieffer: Ein Mittelalter ohne Karl den Großen, oder: Die Antworten sind jetzt einfach. In: GWU 48, 1997, S. 611-617. Karl Mütz: Die „Phantomzeit“ 614-911 von Heribert Illig. Kalendertechnische und kalenderhistorische Einwände. In: Zeitschrift für württembergische Landesgeschichte 60, 2001, S. 11-23. Am 1. 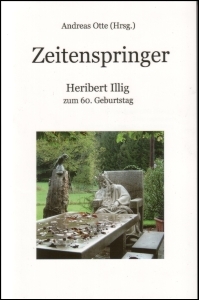 Mai wollen wir, d.h. einige Zeitenspringer (zur Zeit: Heribert Illig, Susanne Fuder, Gerhard Anwander, Marianne Koch und Andreas Otte), in Freising einfallen. Es besteht neben Besichtigungsaktivitäten die Möglichkeit, sich dort mit dem bekannten Rechtshistoriker Hans Constantin “Wibald” Faußner zu treffen. Teile des “Westwerks” des Freisinger Doms sind nach Faußners Meinung römischen Ursprungs. Die detailierte Planung läuft noch. Interessenten melden sich wie üblich bei admin@fantomzeit.de.